We’ve just returned from our first cruise of the season over the past two days, from our home mooring at Sherborne Wharf to Wolverhampton and back. It’s always nice to be cruising again, and we identified a few items that need fixing after the winter before we start cruising again. 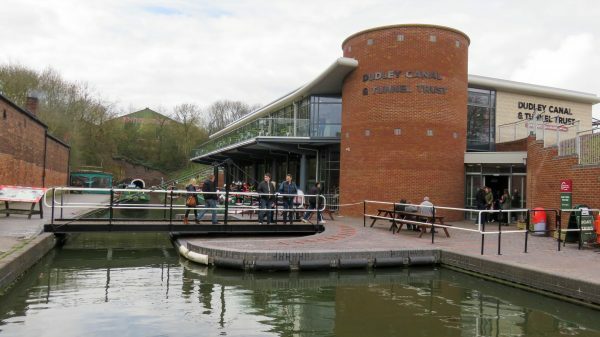 On the way we stopped to see the Dudley Canal & Tunnel Trust’s new visitor centre which was opened on 14th March 2016 by HRH The Princess Royal. 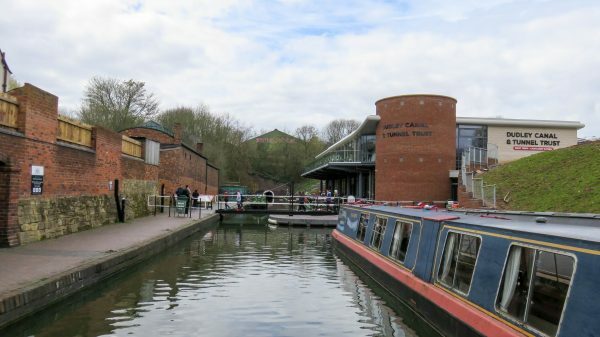 There’s a new swing bridge across the canal which provides a level link to the Black Country Living Museum and the boarding point for the trip boats into Dudley Tunnel. The tunnel portal is just visible in the background. The trip boats are electric and have a low height so they fit into Dudley Tunnel which has such a low profile that most narrowboats will not fit inside. 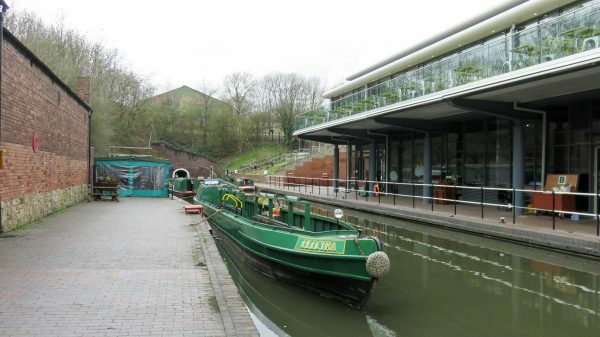 This entry was posted in Dudley No 1 Canal, Dudley No 1 Canal (BCN) by Paul. Bookmark the permalink.